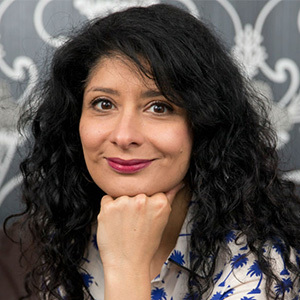 Iranian comedian and writer, Shappi Khorsandi will host the annual DIY Week Awards, set to take place on Friday, May 10 in London. Shappi Khorsandi first grabbed the comedy world’s attention with her original sell-out Edinburgh show, Asylum Speaker in 2006. Both feisty and flirty, she softens a razor-sharp wit with a deliciously dizzy delivery and endless charm. Shappi’s career has taken her to all corners of the globe, and she has appeared on countless TV & radio shows including; Mock The Week, 8 Out Of 10 Cats, Have I Got News For You, QI, Just a Minute, Lenny’s Britain, Channel 4’s Alternative Election Night, and the Big Read. She has also become a regular on Radio 4 shows, with credits from Quote Unquote and The Unbelievable Truth, to her own series Shappi Talk. Shappi has taken part in the iconic television & live show for Amnesty International, The Secret Policeman’s Ball, as well as several series of Live at the Apollo & Michael McIntyre’s Comedy Roadshow. Two years ago she also appeared as a contestant on I’m a Celebrity…Get me Out of Here. She is currently touring the UK with her latest show, ‘Skittish Warrior… Confessions of a Club Comic’. Outside standup, Shappi is a sought-after commentator on everything from Woman’s Hour to the Open University, Question Time and The Culture Show, as well as writing a regular column for the Independent. DIY Week is delighted that Shappi has come on board as compere of the 2019 DIY Week Awards. She will entertain guests and host the awards presentation at the lunchtime event, which takes place on Friday, May 10 at the Tower Hotel, London. Don’t miss out on your chance to be at the fantastic industry event, to take advantage of key networking opportunities and the chance to celebrate the top products, companies and people within the home improvement and garden sector. Book your tickets today.